It seems like only yesterday we were blowing our vuvuzelas (or mourning) over Germany’s 2014 World Cup victory. The best soccer players in the world will converge on Russia June 14-July 15 for the 2018 FIFA World Cup, and notably absent is the United States, whose U.S. Men’s National Team failed to qualify for the first time in more than 30 years. 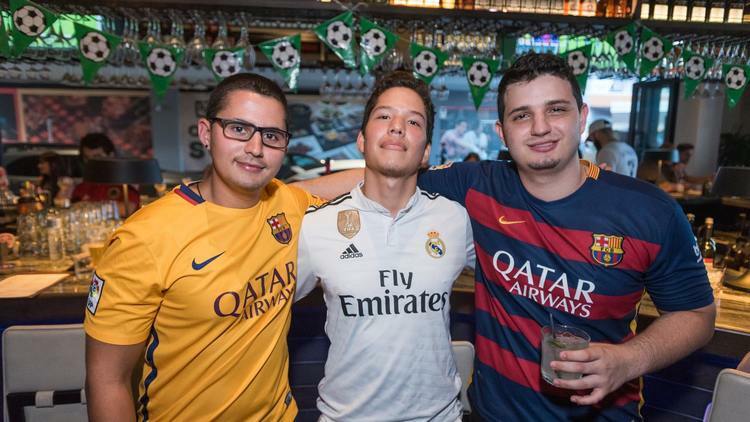 Bars and restaurants from West Palm Beach to Fort Lauderdale and Miami will be decked out in team banners and club jerseys for the next month and a half, offering cheap drinks and food specials to stoke futbol fever. 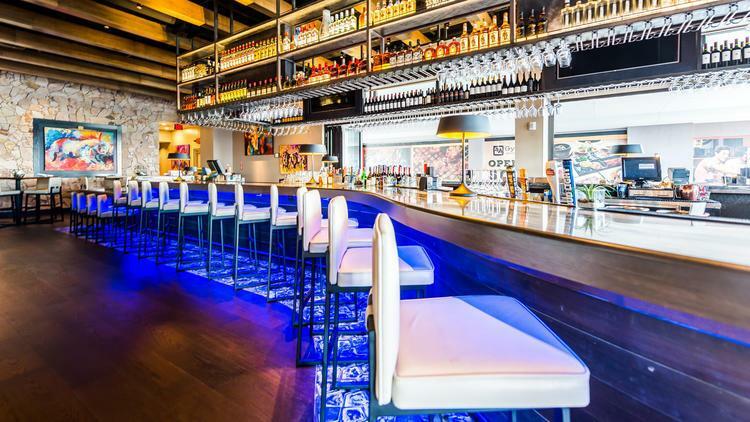 Everything from World Cup prix-fixe menus to themed appetizers and private cabanas offering high-definition projections of every game can be found at these soccer-friendly hangouts. Here are the best places to watch the tournament’s 32 countries square off on the pitch. The German fanbase is strong at this beer garden, opening earlier than usual — 10 a.m. — for the June 17 Germany-Mexico match, and will offer $6 Bitburger pints, Jagermeister specials, tappings of Mexican and German beers, glassware giveaways and raffles for upcoming games. For Brazil’s matches, Xingu bottles will cost $5. Carlsberg bottles will cost $4 during Denmark’s games, and Baltika No. 6 Porter bottles cost $6 during Russia’s matches. Also: $1 bratwurst and $5 witbiers on June 18. 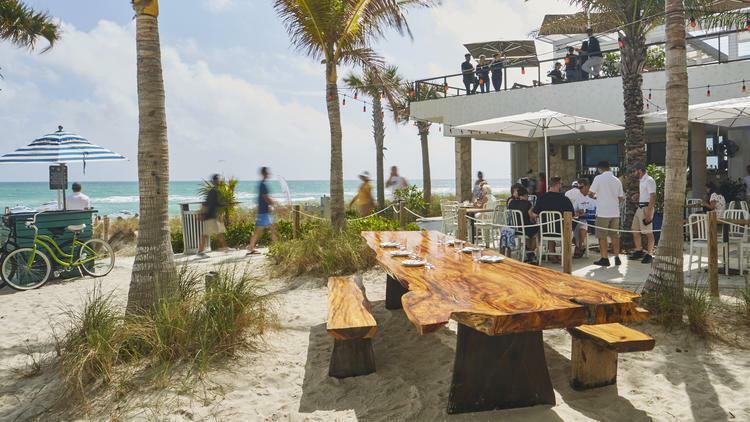 Watch World Cup matches in posh surroundings at this Miami Beach mainstay. 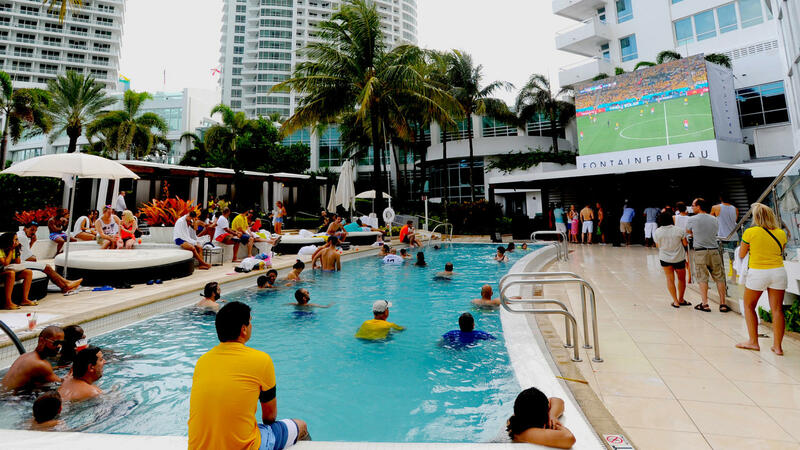 Visitors who book private cabanas have access to 14-by-24-foot screens along with themed team cocktails, such as Spain’s rosé sangria, Brazil’s caipirinha and England’s cucumber gin. Early-risers hunting for morning games have a place at Etaru, offering a free drink with purchase of any breakfast dish. During the afternoon, the Etaru Burger (tomato, onion, shiitake ketchup) and Sapporo Light costs $18. Etaru’s second location in Fort Lauderdale will open June 15. 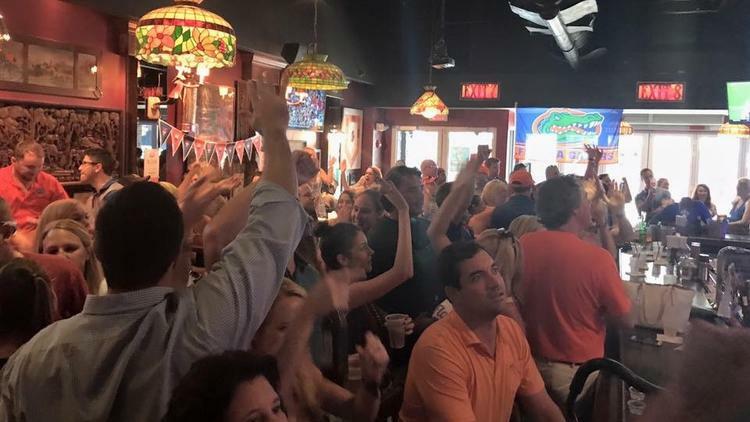 The sports bar and Irish hangout will be Team Australia and Team England during the World Cup, but every game will be screened (even 6 a.m. and 8 a.m. matches) on its six large TVs and 10-foot projection screens. During matches, breakfast items cost $7 to $20. Meanwhile, beer buckets cost $18 for domestic, $22 for import, $12 for Bud Light, $15 for Stella and Yuenling and $5 for Ketel One Bloody Mary’s. During the World Cup, Stella on draft and Three Olives Vodka will both cost $5. 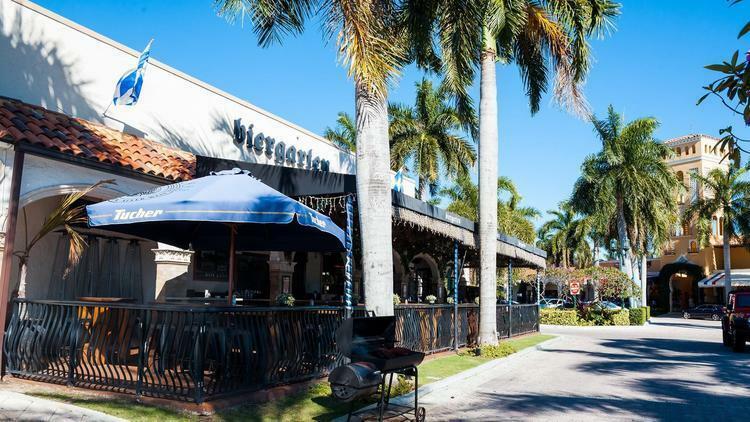 The West Palm Beach location will screen every game on its 30 flat-screen TVs. Drink specials will include $5 drafts of Bud Light, Budweiser, Corona Light and Modelo, and food specials such as 75-cent wings and $10 nachos and loaded fries. Only Brimstone’s Doral outpost will offer a themed appetizer menu inspired by participating countries. Germany’s matches will include bacon-wrapped sausage with pretzel and mustard paired with a gimlet, while Brazil’s matches will have churrasco with rice and beans and a caipirinha. Switzerland’s games will have Rosti (a Swiss potato cake) with zucchini and ham and peach Grand Marnier, while Mexico’s games will have chicken tacos and a rose margarita. 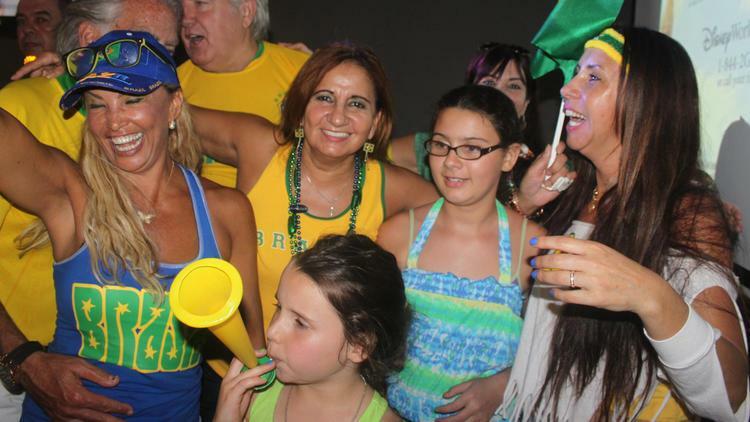 The popular Brazilian hub for World Cup matches will screen every game, but call ahead for drink specials. This Brazilian mainstay will offer three Brazilian-themed appetizers and three beers for $35 in its alfresco lounge, including pão de queijo (cheese bread), fried yucca and coxinha (deep-fried pouches of shredded chicken meat). 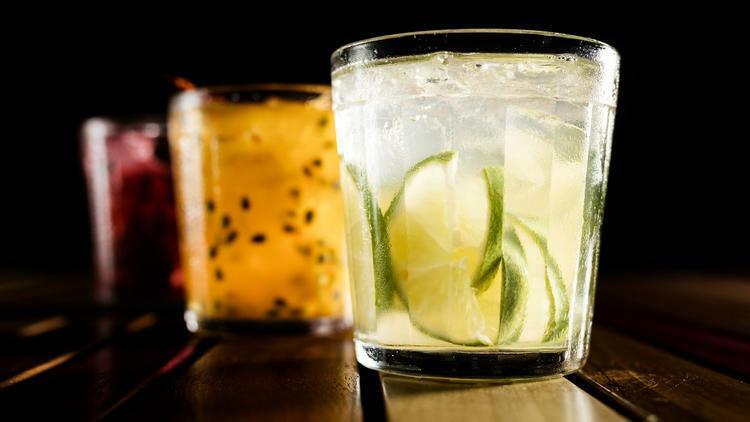 The restaurant also offers an in-house caipirinha, CaipirOFA.